We didn’t see that coming, but we like it! After all the time we’ve spent studying Ninjas, it’s rare for us to see something online that literally makes us stop and go, “Wait, what did she just say?” That happened today when we spotted Michelle Warnky’s Instagram post. IMPORTANT ARNOLD NINJA UPDATES! . -Registered athletes for our @mlabohio Ninja Event will get a wristband for the Expo (if you register before Wed Feb 27). If you sign up for our event, you don’t need to buy a ticket for the festival! . -If you already bought a ticket, email our gym and we’ll try to find people who can buy it from you! . -ADDITIONAL runs are now up! We’ll email a discount code out shortly for anyone interested in 3 or more extra runs, but if you only want 1or 2, you can buy those now! Guessing the Sat early afternoon waves will fill up quickly, so sign up for additional runs asap! 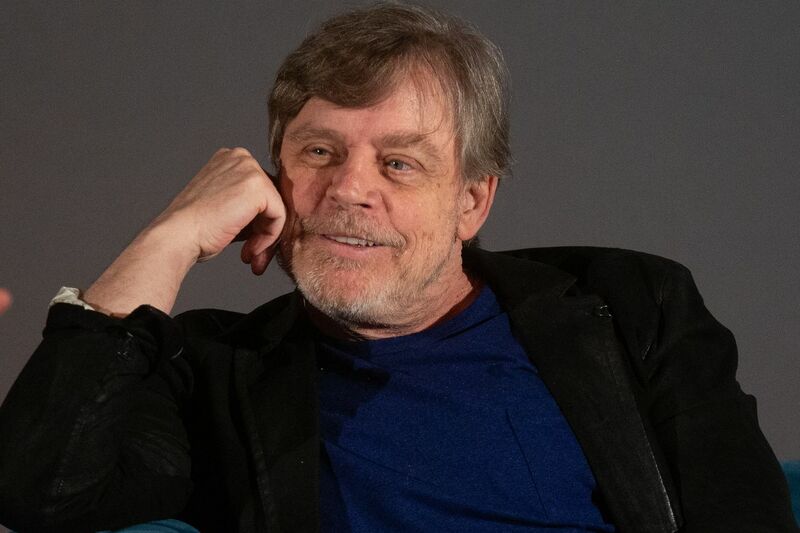 You can only buy additional runs after you’ve bought your first run and we’ve enabled you (we’re checking daily). . -@hamillhimself will be at the @arnoldsports festival!! . -@mattiseman will also be there help with the Strongman event, but he’ll be around! . -Super excited to share that @northstargames games is now one of our sponsors! They created our beloved #happysalmon game which you will have the opportunity to try out and buy at a discount at the festival! All seems pretty standard at first. Cool event coming up, getting the details out there, talking additional runs, sponsors, Mark Hamill. The norm. ….Hang on a second. Mark Hamill? As in… Luke Skywalker… at a Ninja Warrior event? There’s a Ninja competition, put on by MLab Ohio, as part of the event on Saturday and Sunday. The top male and female competitors get $5000 and are invited to Arnold Luncheon. Learn more about that competition here. Okay, let’s get back to the matter at hand: The completely delightful randomness of Mark Hamill’s attendance at this event. Yes, Matt Iseman will be there to. We love you, Matt, but we need to focus on this new twist for a second. We needed to make some kind of connection here, so we took to Google. It does seem that Hamill and Schwarzenegger have known each other for a long time. It does not seem like Hamill has a vast experience in body building. As far as we know, he hasn’t publicly expressed too much interest in Ninja Warrior, but we REALLY want to be corrected if we’re wrong about that! We DO know that Michelle Warnky is a Star Wars fan, so we’re pretty excited this is happening for her! A little belated, but in honor of May the 4th, had to pull out my #fbf to going to see #theforceawakens a few years ago Fun times! But despite the day, a group of us went to go see #avengers #infinitywars tonight! Good movie, still processing, haha! Bottom line, folks, we don’t know exactly why Mark Hamill is attending a body building/Ninja Warrior competition, but we’re digging it! Please, please, please someone talk him into trying the course and shout something about the force at him.